Among the most revered and beloved artworks in China are ceramics—sculptures and vessels that have been utilized to embellish tombs, homes, and studies, to drink tea and wine, and to convey social and cultural meanings such as good wishes and religious beliefs. Since the eighth century, Chinese ceramics, particularly porcelain, have played an influential role around the world as trade introduced their beauty and surpassing craft to countless artists in Europe, America, and elsewhere. Spanning five millennia, the Metropolitan Museum’s collection of Chinese ceramics represents a great diversity of materials, shapes, and subjects. 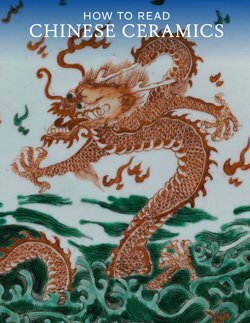 The remarkable selections presented in this volume, which include both familiar examples and unusual ones, will acquaint readers with the prodigious accomplishments of Chinese ceramicists from Neolithic times to the modern era. As with previous books in the How to Read series, How to Read Chinese Ceramics elucidates the works to encourage deeper understanding and appreciation of the meaning of individual pieces and the culture in which they were created. From exquisite jars, bowls, bottles, and dishes to the elegantly sculpted Chan Patriarch Bodhidharma and the gorgeous Vase with Flowers of the Four Seasons, How to Read Chinese Ceramics is a captivating introduction to one of the greatest artistic traditions in Asian culture.